Extremely bright, just totally renovated and quiet. 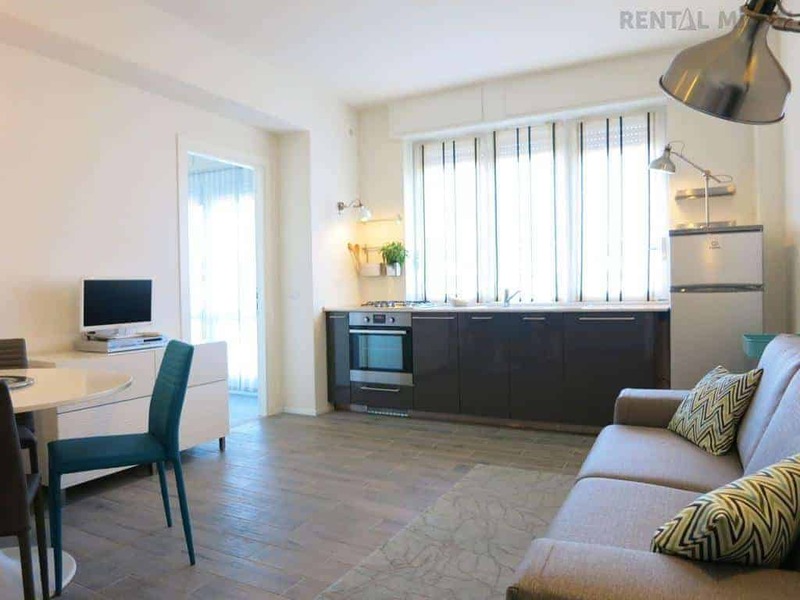 Very modern and comfortable Apartment Milan with 1 bedroom. Bright living room with a sofa double bed and a fully equipped modern kitchen. Bedroom with a double bed and a walk-in closet. Bathroom with shower. Central Air conditioning and heating. On the 5th floor with elevator. The apartment is located in a safe residential area, with every kind of shop and service nearby. Thanks to Famagosta M2 metro station, just 2 minutes walking far, you can easily and directly reach Navigli district (Porta Genova) in 5 minutes, Brera, Cattolica university and Politecnico di Milano in 15 minutes. 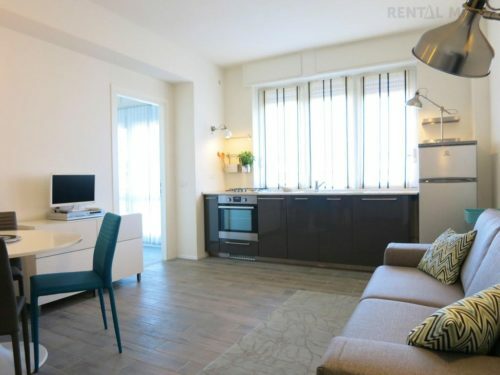 The apartment is walking distance from NABA and IULM universities, close to Romolo M2 metro station. Good also to reach Bocconi by bus, in about 20 minutes. Less than 10 minutes walking, there is a nice gym with swimming pool and SPA. Carrefour and Esselunga supermarkets are just 5 minutes walking and they are open 27/7.